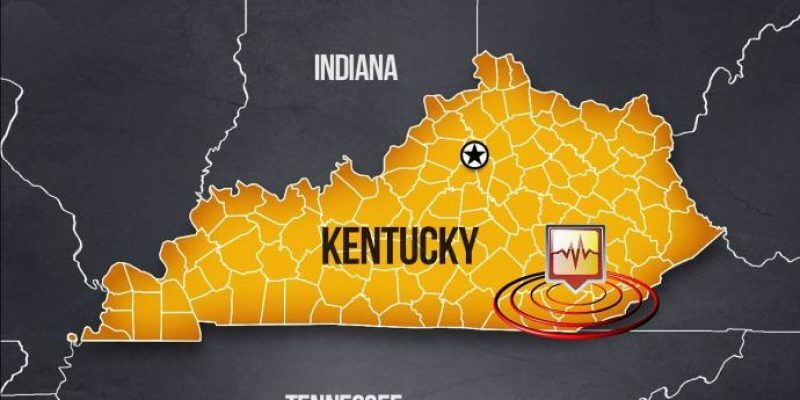 Kentucky experienced two earthquakes in just two days the US Geological Survey reported. On Monday morning it detected a 2.7 magnitude earthquake at 7:07 a.m., miles northeast of Pineville, in Knox County. On Saturday, two days prior, it detected a 2.7 magnitude earthquake near Wilmore, in the northern area of Garrard County. The earthquakes were also recorded by Kentucky’s Seismic and Strong-Motion Network, which is located at the University of Kentucky’s Mining and Mineral Resource Building. In reality, earthquakes occur all the time. Most of them we don’t feel, even up to a magnitude three or so, and it would be kind of unusual for someone to feel, but we’ve recorded earthquakes almost every day in Kentucky, most of them far far too small to feel. While feeling the tremors of earthquakes may feel strange or frightening, especially since two earthquakes were felt within days of each other, experts claim there is no need to worry. They also state that no close correlations can be made between the two recent earthquakes, and they can’t predict when another would occur. The earthquakes occurred in a region near the Cumberland Plateau, a mountainous area that parallels to the west of the Appalachian Mountains.